reduce pain, thus the bull doesn't really suffer in the ring because its adrenaline is pumping so fiercely. higher during the transport phase than when the bull is in the ring. Also, during fighting, the bull segregates hormones that help neutralise pain. Reduction in experienced pain does not mean elimination of pain. 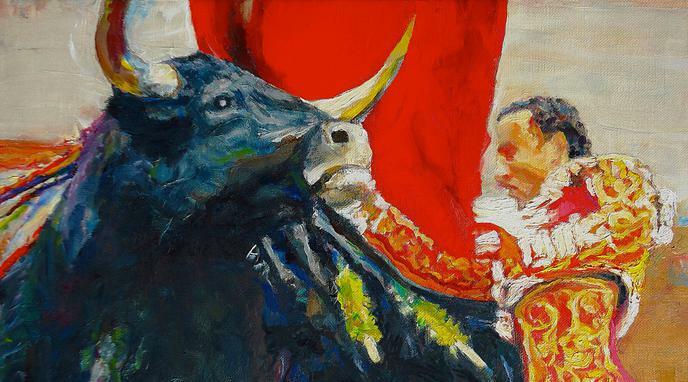 relative level of distress demonstrated by bulls during bullfights by veterinarians support the conclusion that the bulls are suffering. It is possible for women to produce endorphins during childbirth. Doctors won't deny them painkillers, though.